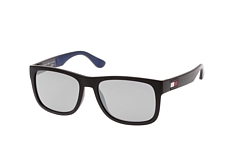 If you're aiming for a modern-yet-classic look, Tommy Hilfiger sunglasses are the perfect accessory. 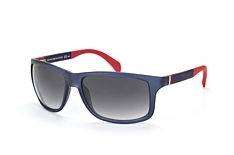 The collection of Tommy Hilfiger sunglasses at Mister Spex features the highest level of quality and design from the legendary American brand. 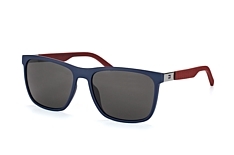 With clean lines and beautiful colour tones, Tommy Hilfiger sunglasses capture the essence of American spirit. 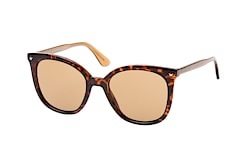 At Mister Spex, we make it easy to find a flattering pair that goes with any outfit. 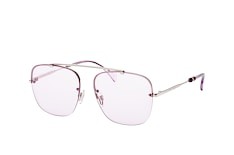 And we offer top-notch service and affordable prices, every day. 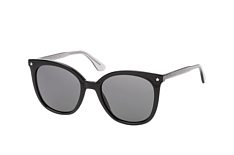 Are you looking for something beautifully classic, yet updated? 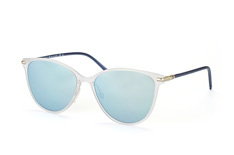 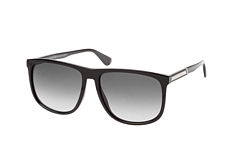 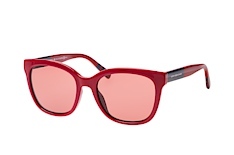 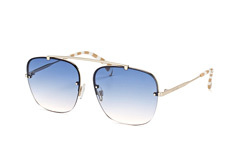 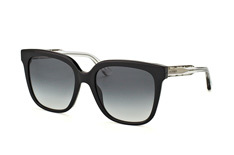 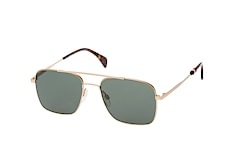 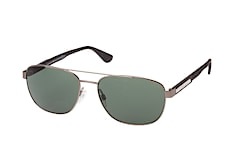 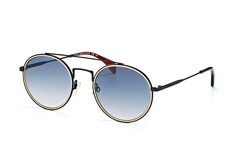 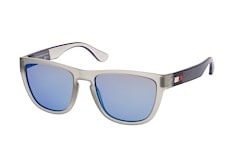 Tommy Hilfiger sunglasses bridge the gap between classic and modern in a fresh way. For whatever you've got planned, whether it's a summer garden party, holidays at the beach, or strolling down city streets, you'll have that casually-cool American vibe with your new pair of Tommy Hilfiger sunglasses. 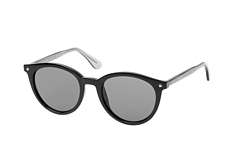 Mister Spex makes looking stylish simple and affordable. 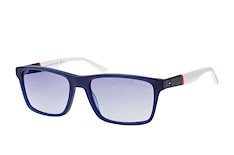 In addition to competitive prices, we offer a wonderful selection of Tommy Hilfiger frames in a wide-ranging colour palette. 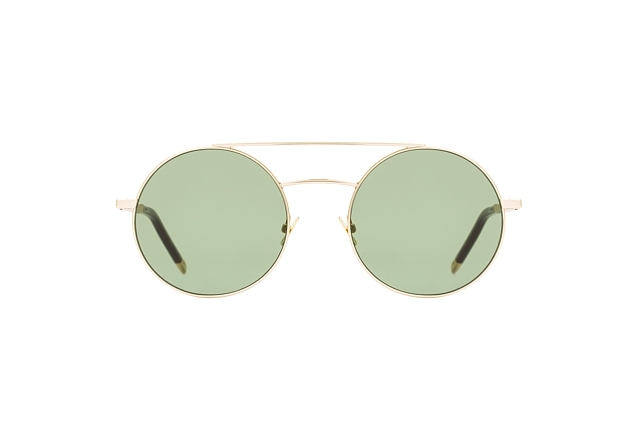 From neutral tones that go with everything to frames with a subtle pop of colour, you'll find what you're looking for right here online at Mister Spex. 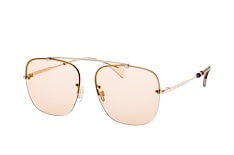 Find your ideal pair quickly - all it takes is a few clicks! 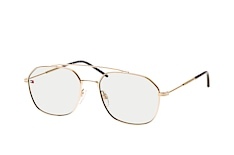 Finding flattering frames is easy with the tools at Mister Spex. 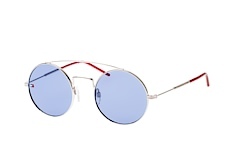 We've got lots of filters to refine your search according to what's important to you. 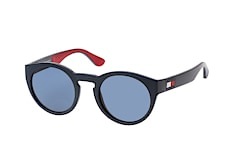 Whether you want to search by price, colour, frame shape or material, you can customise your preferences and find your favourite Tommy Hilfiger sunglasses in minutes. 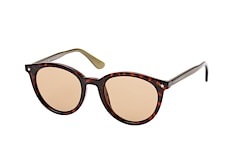 If you're not sure what frame shape frames suit you best, use our handy face-shape filter to guide you through the selection process. 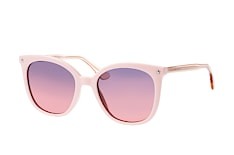 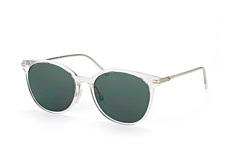 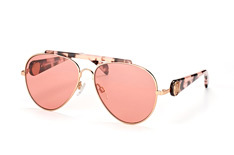 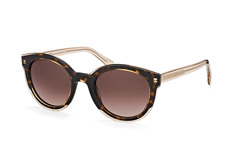 And here's the best part: you don't have to wait until your sunglasses arrive to try them on! 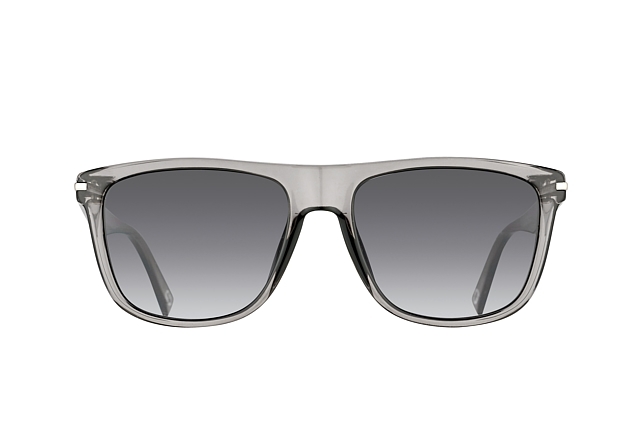 With our virtual fitting tool, you can immediately see how they'll look, before you buy them. Simply use the webcam on your computer to take a picture of yourself, or upload one you've already got. 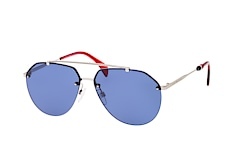 In seconds, try on any pair of Tommy Hilfiger sunglasses and decide which ones are keepers. 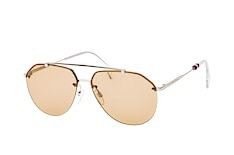 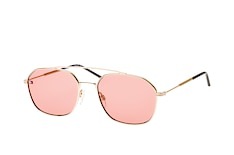 Experiment with oversize, round, aviator and rectangular lenses to see which styles flatter your features. 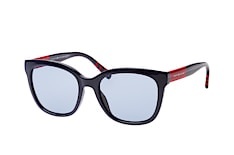 With Mister Spex you can achieve the look you want - effortlessly! Tommy Hilfiger sunglasses from Mister Spex are fitted with premium quality tinted lenses and an anti-reflective treatment for complete UV protection. 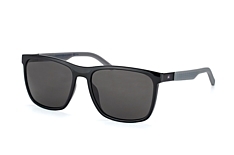 You'll be stepping into the sun with total confidence that your eyes are protected when you order from Mister Spex. If you normally wear glasses and want to invest in prescription sunglasses, personalise your new Tommy Hilfiger sunglasses with lenses tailored to your vision needs. Choose any model that is marked prescription-ready from our collection and input your prescription details when prompted as you place your order. Mister Spex is the convenient way to shop. 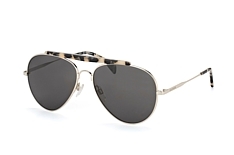 We always use reliable shipping services that deliver your order quickly. 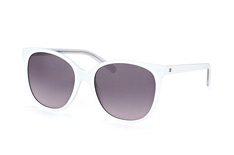 P&P is completely free of charge if your order is over £29.00. 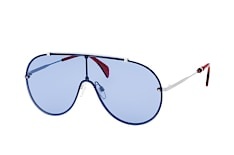 In case you have second thoughts about your new sunglasses after they arrive - no problem! 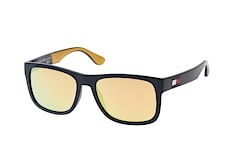 Return them to us within 30 days for free. If you need assistance at any point, our knowledgeable customer service specialists are ready to help you with your query. 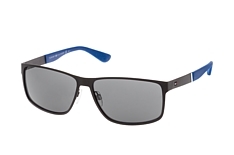 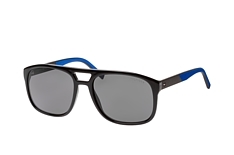 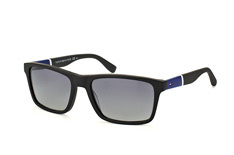 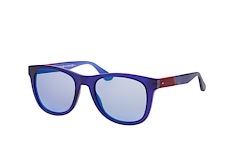 Enjoy life in style with Tommy Hilfiger sunglasses - order yours from Mister Spex! Get all these benefits and more when you shop at Mister Spex. Find your new Tommy Hilfiger sunglasses here now!